I am long past reading parenting books or searching out the latest and greatest parenting advice. But once a year I delight in digging up what forecasters predict will be the parenting trends of the year. In 2013 I wrote about neon strollers and apocalypse parenting, two trends I am happy to say did not arrive in Calgary. This year I bring you baby-teeth jewelry, the end of the playdate, and shotgunning-a-beer parenting, among other gems. Let’s explore five. These “gems” are not pearls. They are baby teeth. Great idea, or gross? Four years ago the big thing was having your kid’s fingerprint turned into a necklace pendant (guilty!). In 2014 you’re supposed to have her baby teeth turned into stud earrings, “gems” in a ring, a bracelet or a pendant. 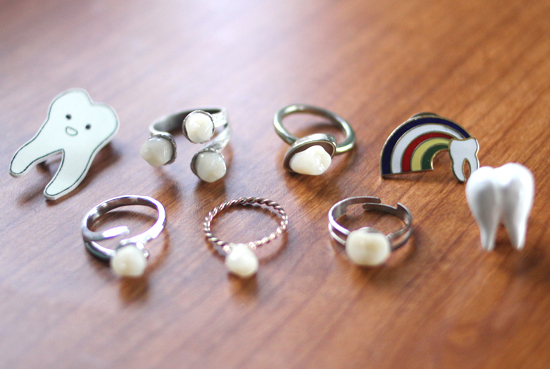 I admit I’m guilty of stockpiling both my children’s baby teeth (yep, the Tooth Fairy drops them into a little baggie inside one of the drawers of my bedside table instead of flying them to Tooth Land), but turning them into jewelry seems kinda weird. And, well, ick. Much like my extracted wisdom teeth, their baby chompers will remain hidden from sight, possibly forever. Evidently we’re craving the Honor, Chastity and Hope name equivalents for boys, because the moniker-watchers at Nameberry.com are predicting a rise in boy names that reflect a good and True character (yes, True is a boy name). You can pick from Noble, Valour, Justice and — wait for it — Loyal. But why stop there? Name him Dedicated, Strong, Sensitive or heck, why not Endurance? That has a nice ring to it. 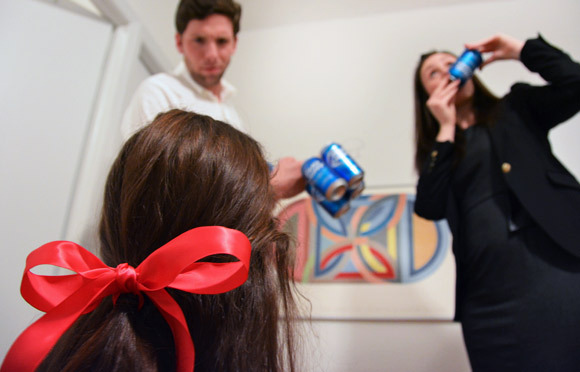 When faced with a potential confrontation with your child, simply shotgun a beer. Here’s a trend that’s a backlash against helicopter parenting, the parenting style where well-meaning moms and dads do for their kids what the kids should be doing themselves. It’s for parents who are tired of being on call and are desparate to establish more boundaries between themselves and their bubble-wrapped progeny. If this is you, here’s what to do: the next time your kid wants you to pack his school lunch, iron his karate outfit, spellcheck his book report (or, um, read the book in the first place) or drive him to the school that’s three blocks away, just shotgun a beer. This is the best way to show your child he is not in fact the centre of the universe, and to let him know that it’s important to look after your own needs. As child psychiatrist Jasper Lambsharkssen told The New Yorker: “Shotgunning-a-beer parenting is going to explode as parents discover that it’s the simplest way to take care of a complicated problem.” Bring it! When I was a kid you walked next door to your friend’s house, rang the doorbell and asked if she could play. It was spontaneous. It was not planned a month ahead of time and pencilled into a child-activity-tracker calendar. I don’t know when everything became so official, but please make it stop. Though I am guilty of scheduling playdates for my daughter, I’m the first to admit that I don’t like it. I wish she, or her friends, would just call or walk over when they wanted company. You know, organic play. I also really hate the name playdate. It’s not a date! So I really do hope the playdate goes the way of the dinosaur, as predicted. A special cake for the kid who’s so special he gets a freakin’ half birthday party. Somewhere out there, a child is turning 2-1/2, or 5-1/2, or some other age + six months, and the parents want to celebrate this important milestone. WTF? Since when do you celebrate a half birthday? More importantly, why, oh why, would you want to? I personally cringe as my kids’ REAL birthdays approach (the planning, the venue, the cake, the invite, kill me now), so why would I want to go through that hell twice in one year? Plus, no kid deserves a half birthday. 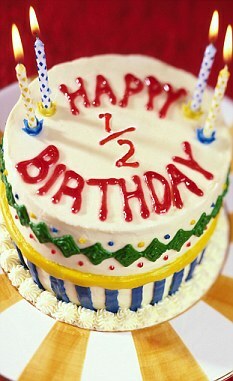 If you’re seriously contemplating throwing a half birthday party, please just go shotgun a beer. This entry was posted in Parenting and tagged 2014 baby names, 2014 parenting trends, baby teeth jewelry, half birthdays, no more playdates, shotgunning a beer parenting. Bookmark the permalink.